Freelance social media marketers juggle a lot of tasks. They have to research buyer personas, develop a social media plan, line up metrics to track, plan and develop content, schedule it, and pay attention to analytics. And that’s for every client! It’s no wonder that so many digital freelancers give up social media work altogether. 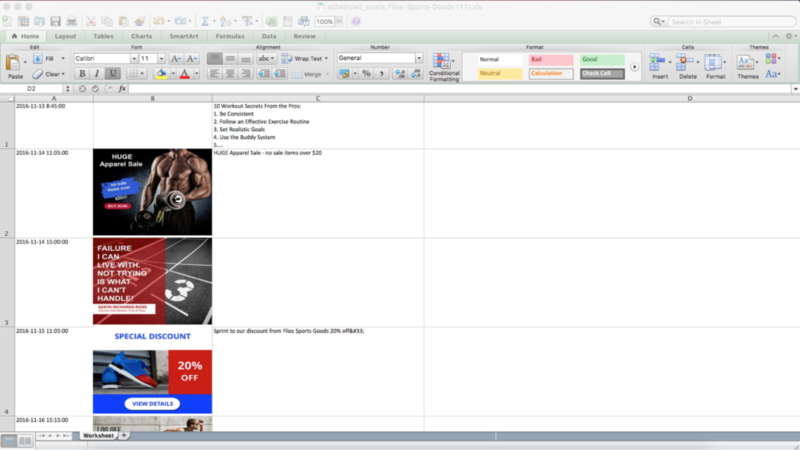 It can be a nightmare trying to keep track of all the content for each client. That’s where a content calendar comes in. In the old days, we’d keep a separate calendar for each client, but with PromoRepublic’s layered content calendar, now we can have it all in one place. And now, our new awesome feature! Do you have clients or stakeholders who want to see your social content before you post it? We have a solution! Export your weekly scheduled content to get your client’s approval is a new feature available now! Now, PromoRepublic has added an export button to the calendar. It’s so easy to generate scheduled content to get buy-ins from your customers. Subscribe to our youtube channel and watch the video to find out how easy it is now to export your weekly scheduled content to get approves. We are committed to making it easy and effective to perform social media marketing duties for freelancers, in-house social media folks and agencies. Stay tuned for what’s coming next! What Traits Should a Social Media Content Calendar Have? A content calendar is no good if it doesn’t have all the things you need to run your business in an effective way. It should be easy to navigate, allow a month at a time view, and allow you to drill down to specific days. It should contain a preview of visual posts, for easy reference. It should, obviously, tell you the post date for each piece of content, and should indicate where it will be published. And, ideally, the social media calendar should either integrate with, or contain, some sort of analytics so you can see how your posts are performing. Why Do Freelancers Like Content Calendars So Much? A clean, easy-to-follow content calendar can take a lot of the stress out of managing the multitude of tasks a freelancer has ahead of them. The visual simplicity of a calendar takes what seems like an impossibly complicated job, and lays it out on a path with a clear beginning, middle and end. A calendar can help remove the stress of looming deadlines, or repetitious tasks. Simply being able to visually track your progress on a calendar can be both rewarding and inspiring, which will boost productivity and keep you moving forward. 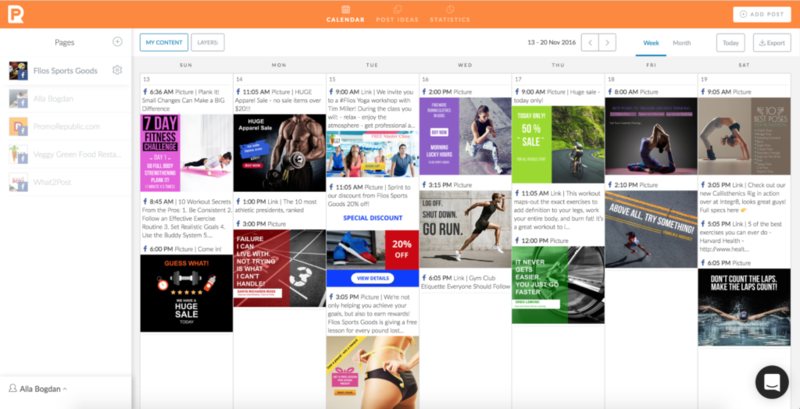 PromoRepublic’s content calendar is a freelance social media marketer’s dream. The basic legwork will always be necessary, of course, but PromoRepublic offers a variety of new templates each week to cut down on design time. The content calendar also includes an array of topics to inspire – everything from sports, to news, to trivia and celebrity happenings. A social media marketer can have a single resource, right there are their fingertips, to stay organized and find inspiration for new content. Freelance social media marketing requires a careful and purposeful balance. You have to manage your client’s expectations, your own time, the content you produce, and where and how it goes public. This doesn’t mean that it has to be a burden. PromoRepublic’s content calendar is designed to encourage and promote social media marketing, so that you can more efficiently encourage and promote your client and their brand.